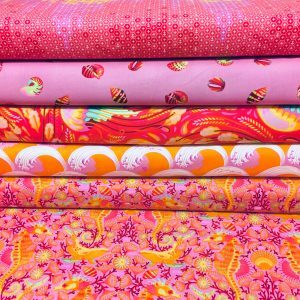 Tula Pink Zuma is now available. 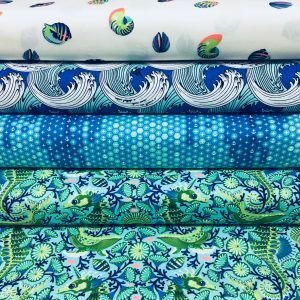 This bright and vibrant collection has all things to do with the sea. Always take a closer look at Tula’s designs as they always have something a little hidden in them…see if you can find them in this collection!